Ankle injuries are common but they are usually minor and heal quickly. Sometimes the injuries lead to chronically unstable ankles that give out repeatedly. Instability is avoidable if specific treatments are started immediately after the injury. 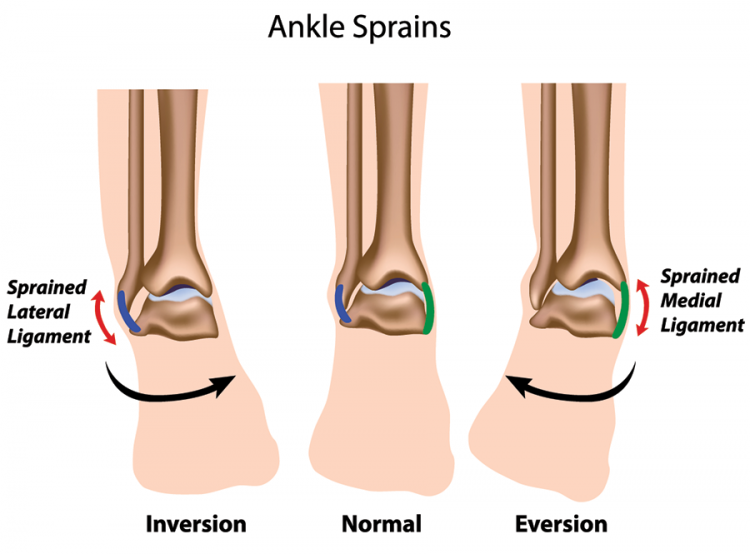 When an ankle is injured from twisting in towards the other foot, an inversion injury, most commonly the anterior talofibular ligament is stretched or torn. 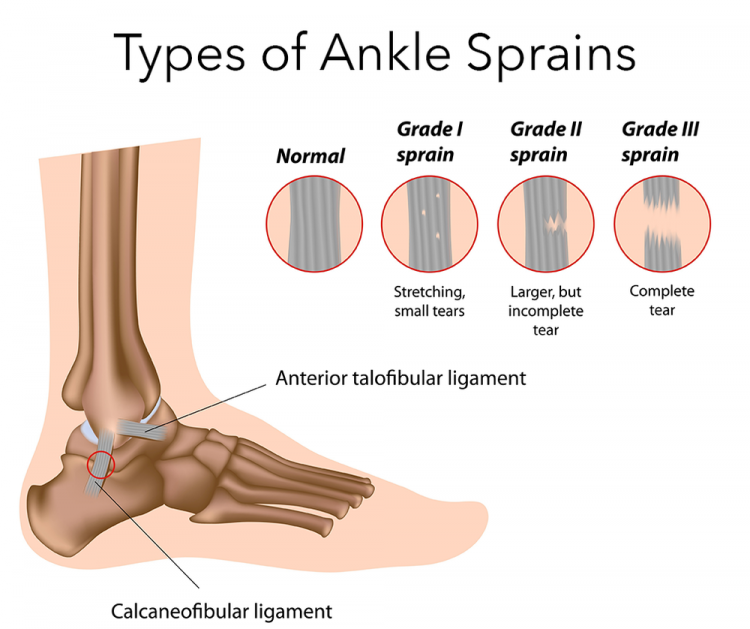 If the two other primary ligaments on the outside of the ankle (the posterior talofibular ligament and the calcaneofibular ligament) are also injured, the primary bone of the ankle, the talus, can be displaced from beneath the tibia and the ankle "shucks" out of joint. A physician, physical therapist, or trainer examining the ankle soon after injury can compare the amount of "shuck" to the opposite ankle and develop a grade for the amount of injury suffered. Usually, if the injury is limited to one ligament, the instability is less. If all three ligaments are involved, the ankle is more unstable. The nerve supply to injured ligaments can also be compromised. The nerves provide "proprioception" or position sense, in effect telling the brain where the foot is in space. In the healing process, it is critical to re-train the healing ligaments to regain the neural connections required for a stable ankle. Specific exercises can effectively do this. In the past, ankle injuries were often treated with cast immobilization for six weeks or longer. We have found this to be detrimental to the healing tissues. When injured collagen tissues are immobilized, the collagen heals in a disorganized fashion, producing scar tissue. The tissues are weakened by the lack of normal motion and stress required for tissue nutrition and organization. The injured nerve fibers have difficulty re-establishing the proprioceptive sense for the ankle. The result is a higher incidence of chronic instability. The key is early diagnosis, swelling reduction, stabilization, and stimulation for healing. Describes a stretching of the ankle ligaments without tearing of the collagen fibers that provide the bulk of the structure. Describes a partial tearing of the fibers without a complete rupture. Swelling slows healing. Initial steps are ice, soft tissue massage, compression, and elevation. Each of these naturally decreases the inflammation from the injury. We discourage the use of NSAIDS (Ibuprofen = Advil, Motrin) because they disrupt the collagen healing and weaken the tissue. A compression bandage or an Aircast type splint protects the healing tissue from further damage. Gentle careful range of motion exercises stimulate the healing cells to lay down new collagen tissue along the lines of stress, forming the strongest repair. This healing can be augmented by injections of platelet-rich plasma (PRP) growth factors in the early stages of injury. Balance and proprioception exercises are crucial to re-educating the healed tissue and the body to an effective joint and to diminish re-injury. 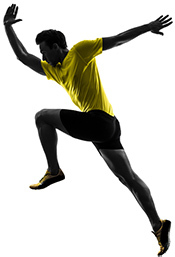 Our program of ankle injury recovery ends when you are fitter, faster, and stronger than before you were injured. The program is specific to the ankle joint and will enable you to have better balance and coordination. When the ligaments of the ankle have torn and not healed in a stable fashion you notice instability, pain or giving way. An ankle brace or taping combined with a great stabilization rehab program can help. When that is not enough Dr. Stone prefers to repair the ligaments by a technique he developed over 20 years ago. His most common surgical repair of the anterior ligaments is accomplished by a pants-over-vest suture repair of the torn anterior ligament to the capsule of the sinus tarsi in the ankle. This outpatient repair, when combined with our immediate rehabilitation program, has never failed to stabilize the unstable athletic ankle.